What Is Account Re-Aging and How Does It Impact My Credit? A quirk in the credit system can cause headaches for bad debt. One of the fundamental tenets of our legal system is expressed in what is called the “statute of limitations.” This is a term heard in both civil and criminal litigation, and it refers to a certain amount of time that someone has to bring an action against another party. It is set by statute, either federal or state. In essence, if you were to commit a certain crime, the District Attorney must file charges within a certain period of time. The same situation exists with civil matters, such as collecting on debt. There is a statute of limitation under which creditors (or collectors) may file suit to collect that debt. It varies from three to seven years and depends on what state you reside in. But that doesn’t prevent them from trying to collect on the debt outside of court, and that’s where the term “re-aging” comes into play. Let’s say you have a bad debt. You are beyond the statute of limitations. A friendly collector contacts you about what you owe. 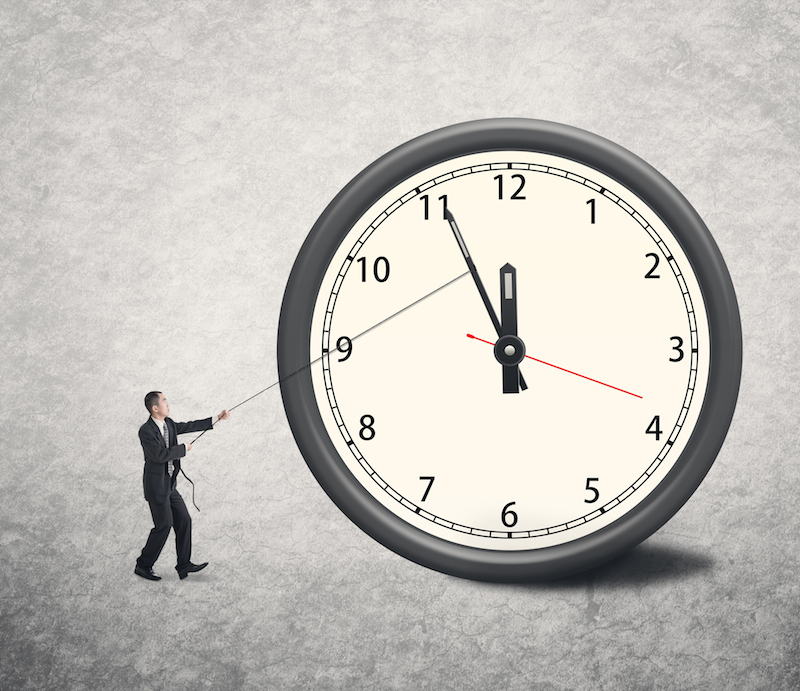 If you make a payment of even a dollar, or so much as tell him on the phone that you’ll pay, you may trigger “re-aging” – which starts the statute of limitations clock all over again. You may have been in the clear legally. That debt may even have fallen off your credit report. But by inviting the debt collection vampire in, you have just dinged yourself. It’s also possible that the clock could be re-started by an unwitting spouse. Spouses are usually tied to your credit situation, so they need to know not to promise to pay or pay on a bad debt, either. As usual, this means you must stay on top of your credit report, which you should check at least annually, if not quarterly. If a debt collector calls about an ancient debt, you should not acknowledge anything. You should immediately institute your rights under the Fair Debt Collections Practice Act, tell the collector you do not recognize this debt and to not call you again, and write the collection agency a letter telling them to cease further communication with you. How can this affect your credit? A bad debt usually stays on your credit report for seven years (longer in some cases). The date of the delinquency, or of the last payment, is the date that gets reported. So you’re going to be dinged for a long time. However, one of the reasons to get that credit report frequently is that some debt buyers will report the day they purchased the date as the last date the account was active – thereby re-aging your account. And, yes, this is illegal. To fix the problem, write to the reporting agency and tell them what is incorrect, and include copies of your records to prove it. Consumer reporting agencies must investigate the issue within 30 days, and forward your information to the debt collector. Then the debt collector must investigate and report back to the bureau. Debt collectors should withdraw their re-aging attempt, because if they don’t, you can report them to the FTC and they’ll get hit with a $2,500 fine for each incident. If they’ve done this once, they’ve probably done it before and won’t want a large judgment.